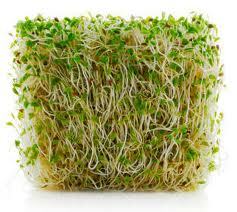 On January 27, Vilsack gave blanket approval to all genetically modified alfalfa. Following orders from President Obama, he also removed buffer zone requirements. This is seen as a deliberate move to contaminate natural crops and destroy the organic meat and dairy industry which relies on GM-free alfalfa. Such genetic contamination will give the biotech industry complete control over the nation’s fourth largest crop. 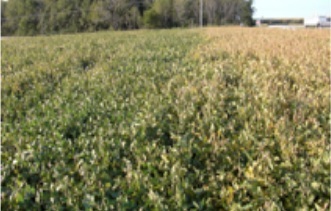 It will also ease the transition to using GE-alfalfa as a biofuel. “My letter to Secretary Vilsack was a request to allocate necessary resources to understand potential nutrient-disease interactions before making (in my opinion) an essentially irreversible decision on deregulation of RR alfalfa,” Huber told Food Freedom in an email. “Although the organism has been associated with infertility and spontaneous abortions in animals, associations are not always evidence of cause in all cases and do not indicate what the predisposing conditions might be. These need to be established through thorough investigation which requires a commitment of resources. In a 2009 study, researchers linked organ damage with consumption of Monsanto’s GM maize, based on Monsanto’s trial data. As we reported last year, Gilles-Eric Séralini, et al., concluded that the raw data from all three GMO studies reveal that novel pesticide residues will be present in food and feed and may pose grave health risks to those consuming them. Tom Laskawy at Grist estimated that in 2008, nearly 200 million pounds of glyphosate were poured onto US soils. But, he notes that “exact figures are a closely guarded secret thanks to the USDA’s refusal to update its pesticide use database after 2007.” This figure more than doubles what the EPA estimates was used in 2000.